Russian President Dmitry Medvedev has said that he has ordered a special regime in all Moscow airports and other transport hubs after a suspected suicide bomber killed over 30 people in the city’s Domodedovo airport. 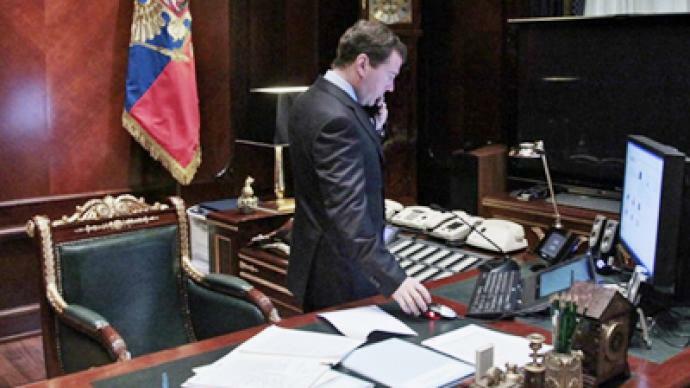 “It is necessary to declare a special regime in all airports and airport connection stations, in all major transport hubs,” Medvedev said at a special conference in the presidential residence Gorki. “I order (Transport Minister Igor) Levitin and the Interior Ministry to exercise all necessary procedures in cooperation with the FSB, to perform all necessary actions,” the president said in an address that was broadcast live on Russian television. He added, "In accordance with the legislation you should ensure security measures on the transport and make sure that all relevant measures are taken. As for the investigation, we need to establish a special committee to carry out, as soon as possible, investigative actions on site. I have ordered the Mayor of Moscow and the Governor of the Moscow region to go there. They are currently heading to the airport. We need to do everything we can to ensure the investigation is performed appropriately and all the information is obtained. As for ensuring security in airports and other transport hubs, we need to monitor the situation closely. We also need to pass a number of legislation acts. What has happened shows that not all the laws that should work are working the way they should." President Medvedev also ordered that the Health and Emergency Situations Ministries provide all necessary help to the victimsof theattack. 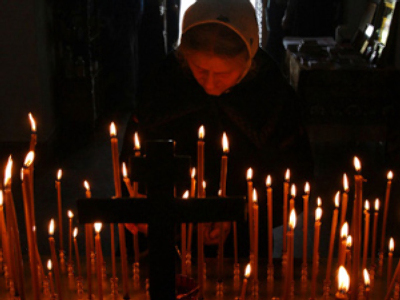 "Everything must be done to ensure that all victims receive urgent medical aid," Medvedev said. "Currently the main thing is providing help to the victims." Medvedev postponed his departure to Davos – for the economic forum – after being informed of the attack, his press secretary Natalya Timakova has said. The Investigative Committee has opened a criminal case on terrorism charges. A powerful bomb went off in the arrival zone of Moscow’s Domodedovo airport at 16:32 Moscow time on Monday. According to the Emergency Situations Ministry, 35 people were killed and more than 160 injured. Initial findings show that the bomb contained the equivalent of at least 7kg of TNT. A law enforcement source citing preliminary information said the bomber could be a North Caucasus native. It is believed that a suicide bomber detonated a device in the lounge area near the Asia cafe next to the international departure area, a spokesperson for the Federal Customs Service (FTS) told Interfax. Earlier there were reports that the blast happened in the customs control area. Several witnesses told media that there had been two explosions, but sources in the National Anti-Terrorist Committee and Federal Security Service have not confirmed the information. Three men are wanted by police, a law enforcement source says. “According to intelligence, three men may have been involved in organizing the explosion,” the source told Interfax. The men have been allegedly living in the region of the Russian capital for some time. About 60 ambulances were sent to the airport. Those injured are being rushed to Moscow hospitals. 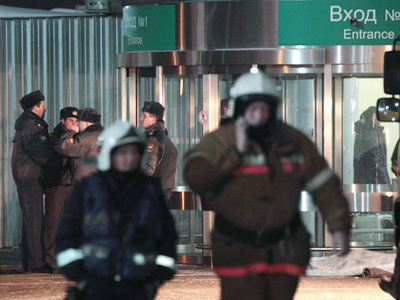 Moscow Region Governor Boris Gromov ordered that hospitals be ready to receive those injured in the blast. Some 300 employees of the Emergencies Ministry are working at the scene. Security has been tightened at Domodedovo and other airports. Cell phone jamming devices have been switched on, sources in law enforcement agencies said. Domodedovo is reportedly working as usual, receiving and dispatching planes.